Sergey Letov was born in Semipalatinsk, Eastern Kazakhstan, in 1956 and then lived in Omsk, Siberia, where lived his brother Egor Letov (1964 - 2008). Sergey Letov resides in Moscow since 1975. First public performance took place in The Central House of Artist in 1982 in Moscow (as a soloist with Percussion Ensemble of Mark Pekarsky). 1983-1993 - collaboration with Sergey Kuryokhin (duo, combo and big band 'POP MECHANICS'). Concerts with POP-MECHANICS and Sergey Kuryokhin - all over Soviet Union, Finland, Italy, France, Denmark. In 1985 Sergey Letov has founded winds ensemble TRI-O (Arcady Shilkloper - French horn, Arcady Kiritchenko - tuba, euphonium, vocal, later - Alexander Alexandrov - bassoon, Youry Parfenov - trumpet). TRI-O performed at almost every jazz festival in USSR, since 1988 TRI-O played in Poland, Bulgaria, Switzerland, Lithuania (Vilnius Jazz Festival), Germany, Austria, Italy, Finland, Norway, the Netherlands, USA, including such clubs as Knitting Factory, Anyway (New York), Bimhuis (Amsterdam), Moods (Zurich), Sud des Alpes (Geneva), Blue Tomato (Vienna). In December of 1999 TRI-O participated in the Last Jazz Live Concert of Millenium at Cologne Radio (West-Deutsche Rundfunk) - together with Mal Waldron, Jeanne Lee, Blixa Bargeld and Roman Bunka. Sergey Letov is interested in various projects, contacts, new partnerships. Among them - German World music band EMBRYO (CD - EMBRYO 2000 live vol. 1 Indigo 9753-2), Danish band NEW JUNGLE ORCHESTRA (concerts in Denmark, Germany and Russia), Italian composer and bass player Enrico Fazio (concert-performance in Noci Jazz Festival, 2 CDs), Americans: cello player Tristan Honsinger, viola and violin player LaDonna Smith (concerts in USA and Russia), guitar player and singer Misha Feigin, harpist Susan Allen (1951-2015), pianist Matthew Shipp, bass player Joe Morris, South African drummer Louis Moholo, British-German saxophone and clarinet player Tobias Delius, Czech saxophonist, guitarist, singer Mikoláš Chadima and his The MCH Band, German saxophone player Vlad Bysrov, Akira Sakata, Koichi Makigami, Kazutoki Umezu, Masahiko Sato, Yoriyuki Harada, Isao Suzuki, SXQ saxophone quintet, Ryoji Hojito, Keiko Komori, Ryuichi Yoshida, Jun Kawasaki, Ko Ishikawa, Yuriko Mukojima, Takero Sekizima (Japan), Theremin' virtuosa Lydia Kavina, butoh dancer Hisako Horikawa (Japan), Tina Georgievskaya, Phil Minton (UK), Klaus Kugel (Germany), cello and keyboard player Ziegfried Debrebant (France) a.o. Sergey Letov performed also with modern poets and writers: Nina Iskrenko, Dmitry Alexandrovich Prigov (1940—2007), Lev Rubinstein, Nina Sadur, Andrei Bitov, Vyacheslav Kupriyanov, Sergey Birjukow, Michel Houellebecq (France), Valere Novarina (France), Anna Alchuk (1955-2008), Vladimir Druk, Nikolay Baitov and Svetlana Litvak, Yulia Skorodumova, Elena Katsiuba, Liudmila Hodynskaia, Erkki Lappalainen (Finland - Sweden), Marina Kniazeva, Lesya Tyshkovska, Maxim Amelin, Alexandr Gornon, Vlad Malenko. In a duo with Alexander Alexandrov he participated in the international festival MILANOPOESIA-91 (Italy). Solo in the videoproject by Vladimir Kupreyanov at ART ATHINA-2007 (Athens, Greece). In 2009 Sergey Letov participated in Stuttgart international symposium "Subversive Practices. Art under Conditions of Political Repression. 60s–80s / South America / Europe", in 2010 - in modern Art festival 'Styrian Autumn' (Graz, Gleisdorf, Austria). Since 1984 Sergey Letov plays with rock and alternative bands, such as Aquarium, Tsentr, DK, Alissa, DDT, Vesyolye Kartinki, Doctor, Nochnoi Prospect, Atonal Syndrom, Soft Animals and Ivan Sokolovsky, Grazhdanskaya Oborona and Egor Letov, Umka, Rada and Ternovnik, Vadim Pevzner, Olga Arefyeva, Kaftan Smeha, HLAM, Konstantin "Kuzma UO" Ryabinov, Alexandr F. Sklyar. Since 1986 Sergey Letov collaborates with actress Nika Kossenkova. In the 1988-1989 he worked in Theatre of Improvisation in Moscow, in 1990-1991 in Moscow Creative Workshops (Mikhail Mokeev), in 1989-1992 and then since 1996 in the School of Dramatic Art of Anatoly Vassiliev, in 1991-1992 in Centro Sperimentale di Teatro a Roma (Sharoo and Reza Kheradmand), in 1991-1992 with clown company "Licedei-4" in France, Taganka Theatre since 1996 - "Moscow- Petushki" (Valentin Ryzhiy) and "Marat and Marquis de Sade" (Yuriy Lyubimov), Kinetic Theatre of Sasha Pepelaev (1997-1998), Saumarkt Theater in Feldkirch, Austria in 1998 - Hochzeitsreise by Vladimir Sorokin (Andreas Marent), Moscow Art Academic Theatre (MKhT by A.P. Chekhov) - 1999-2000, Theatre "Chelovek" in Moscow - since 2001 - "Entre Nous" by Ionesco, Kharms, Valer Novarina a.o. Sergey Letov appears as Tiresias in "Antigone - Forever" by Sophocles (2008). Since 2013 Sergey Letov participates in ballet by Anna Koblova (soloist and choreographer of Bolshoi Theatre) "Phantasy on Polynesia". Since 1014 Sergey Letov paricipated in "Taganskiy Front", Theater performance at Taganka Theater. Since 2016 Sergey Letov participates in Theatre performances "1945. Peace creation - Repost" and "Sevastopol" by Vlad Malenko. 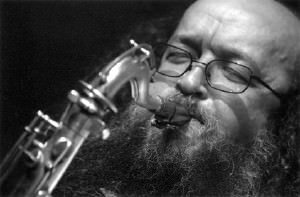 Sergey Letov has composed music and plays saxophobe in the performance 'Revolution square. 2017' by Vlad Malenko at Moscow Theatre of Poets. Since 2018 - stage music for the 'Tragedy 'Vladimir Mayakovsky' by Leonid and Marina Krasnov. Another form of Sergey Letov' activities is composing and playing music for cinema (Aleinikov brothers, Savva Kulish, Tatiana Chivikova a. o. ), video, Radio and TV (more than 10 movies). Since 1996 Sergey Letov and Alexei Borisov play background music for the live performances of the German movie by Friedrich Wielhelm Murnau "Faust – eine deutsche Volkssage", since 2004 - Metropolis by Fritz Lang. The program SILENT MOVIE - LIVE MUSIC by Sergey Letov was awarded a grant of the President of the Russian Federation for Culture and Ar in 2010. The program Electronic Breath was awarded Sergey Kuryokhin premium in 2014. Mr. S. Letov has written music for TV films by Alexei Burykin - "Nikolai Erdman - the shot of the self-destroyer" (2004) and "I am genius, Nikolai Glazkov" (2008). Sergey Letov plays sopranino, soprano, tenor, baritone and C-Melody saxophones, bass clarinet, flute, piccolo and alto flute, Bashkirian kurai, Iranian ney, Akai EWI 4000s, Akai EWI 5000 and Yamaha WX-5. Since 2004 he reads the cours of lectures on modern music at Institute of Journalism and Literary Creativity in Moscow.